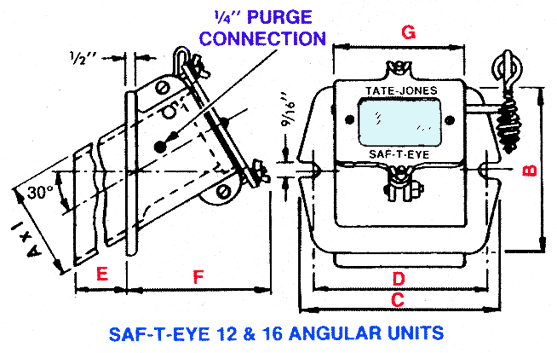 Model 16 (Angular) Saf-T-Eye® Observation Ports – Tate-Jones Inc. The “E” dimension of this unit is cut on a thirty degree angle providing a different viewing aspect inside the vessel with a larger viewing window than the Model No. 12 unit. 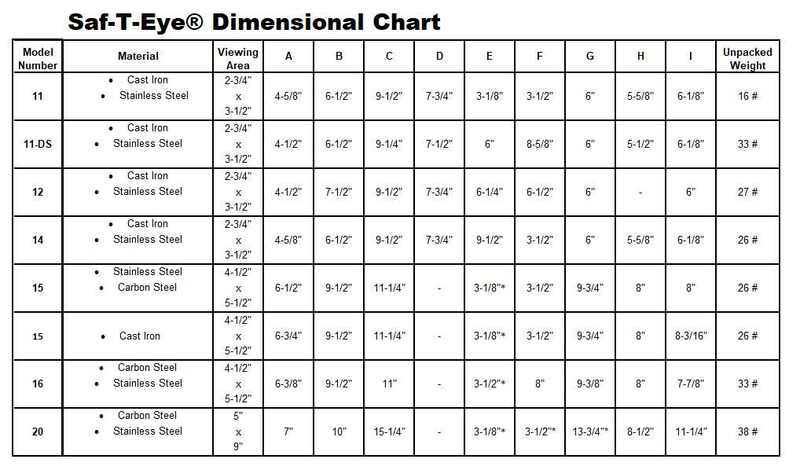 It is available from stock in carbon steel. *E-dimension inside the fixture can be extended up to 20″.